A small confession to start: I am guilty of buying and borrowing a lot of books that I never get around to reading, so this year I am determined to make my ‘yet to read’ pile a lot smaller in size! I thought it would be fun to share with you the titles that I have picked out to read this year, with the thought in mind that I will review each one as I go. Before I begin however, I had better dig them out…some of them have been gathering dust on my bookshelf for quite a while! I have never got around to reading this, (or watching the film for that matter) but I really want to do both! I’m determined to read the book before I check out the film so this one is a must read for me this year. Narrated by Pat Peoples, we follow his journey from a neural health facility to find his silver lining. Along the way we meet clinically depressed Tiffany who agrees to help Pat get back together with his wife Nikki in return for him meeting the demands of her ‘contract’. 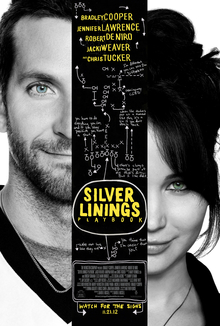 Will Pat’s silver lining be the one he thought, or is he heading for a surprise? Yep, another book/film combo that I purchased a long time ago but have never got around to reading/watching. Much like my first choice, I really want to read the book before I watch the film so this book is a top priority to read as soon as possible. Teenager Hazel Lancaster narrates this story. She has been diagnosed with cancer and much to her chagrin agrees to attend a cancer support group that her parents are eager for her to try. She very quickly feels glad that she agreed to go because she meets and falls in love with Augustus Waters, a fellow cancer sufferer who has just been given the all clear. Adventure and love awaits the two teenagers but heartbreak is also lurking just around the corner. I actually started reading this one just before Christmas but I only read a couple of chapters. I couldn’t get into it and then I got a couple of books as gifts and read them instead. The synopsis of the story sounds like my cup of tea though so I’m going to give this one another try. 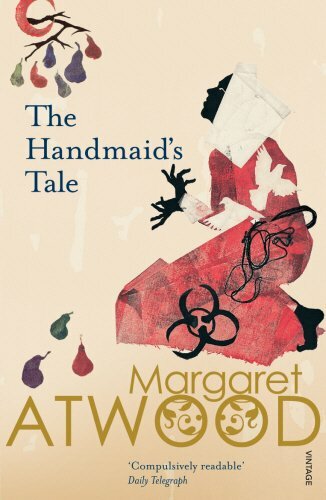 A dystopian novel which follows the story of Offred, a girl faced with two choices in The Republic of Gilead: reproduce or be sent to her death. Will Offred bow to the demands of the totalitarian state or will her inner desires push her to fight back? I picked this book up because it is a classic and one that I have never read but am particularly eager to! 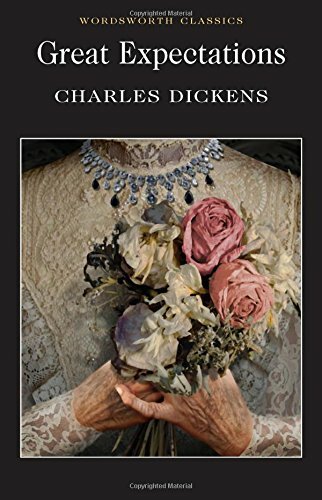 I have read a few Charles Dickens pieces, but only for my studies so it will be interesting to read one purely for pleasure. This book tells the story of Pip, our narrator. A young orphan boy with ‘great expectations’ and a dream to become a gentleman. As we travel through the story with Pip, we meet many interesting characters and see how they, along with fate help guide Pip to both adulthood and the truth about himself. Similarly to the choice above, I picked this one up because it is a classic that I haven’t read but would really like to! I don’t anticipate this one being particularly easy to read (from what I have heard about it) but I’m looking forward to the challenge. 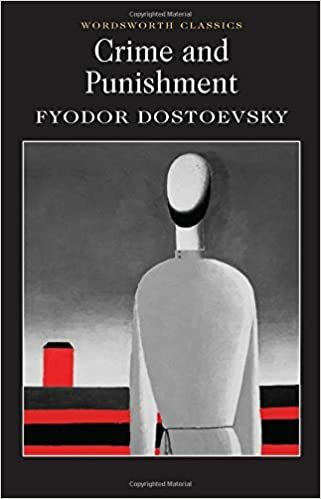 This title follows Rodion Raskolnikov, a man who, against his better judgement is compelled to commit murder. His ensuing mental anguish and his battle between feelings of pride and disgust are laid bare as he is forced to confront his crime and face the after effects of it. My mum gave this to me at the end of the summer last year. I hadn’t heard of it before but upon hearing it is a crime novel I eagerly took her up on her offer of borrowing it. It’s another one that made it onto my bookshelf but never made it into the ‘I have read it’ category. I’m going to change that this year though! Dolly Rawlins has been left a widow after a heist goes wrong. 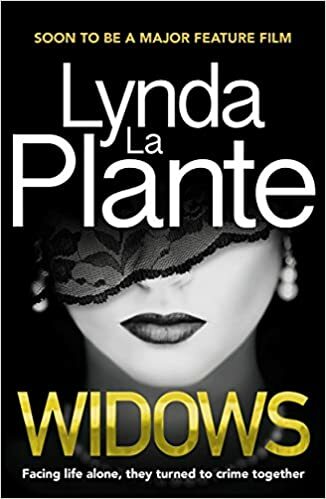 She could turn her late husbands criminal dossier into the police or she could gather together the other widows and finish what their late husbands started. When they decide the latter, they discover there must have been another person involved. The question is: who is that person and what happened to him? I’m even more eager to get started on reading these now that I have written this post! There are many more books that I want to read this year but I’m determined to hold off on those until I have read these ones. Perhaps I will do an updated version of this post when I have got through this list to share which ones I will be reading next. Have you read any of the books that I have picked? If so, what are your thoughts on them? If not, are there any that you really want to read or really don’t fancy checking out? I would love to know! I hope you enjoyed reading this!